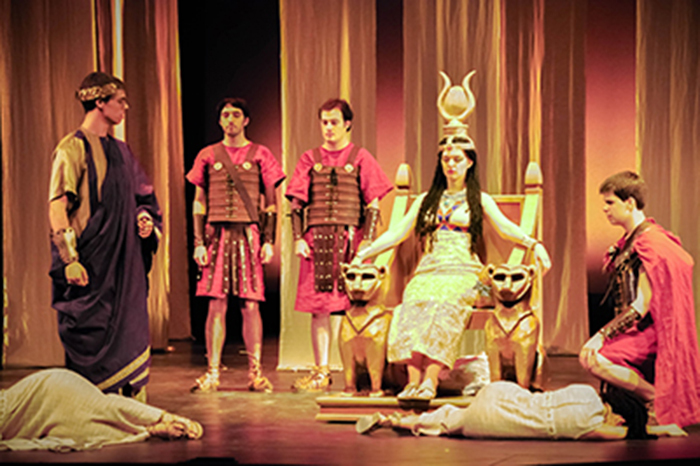 Hofstra University, Hempstead, NY … Walk like an Egyptian and make your way to Hofstra’s John Cranford Adams Playhouse, where for the first time, the Bard’s Antony and Cleopatra will be performed as part of the University’s Annual Shakespeare Festival, from March 14-24, 2013. One of Shakespeare’s greatest tragedies, the play is grounded in the historical facts of one of history’s most famous romantic couples. Antony and Cleopatra features direction by James J. Kolb. Show times are Thursday, March 14 at 8 p.m.; Fridays, March 15 and 22 at 8 p.m.; Saturdays, March 16 and 23 at 8 p.m.; and Sundays, March 17 and 24 at 2 p.m. Tickets are $12, $10 for senior citizens (over 65) or matriculated non-Hofstra students with ID. 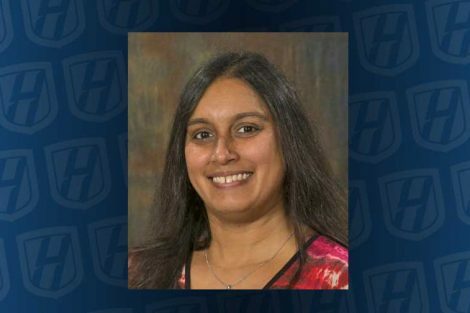 Members of the Hofstra community receive two free tickets with their current HofstraCard. For tickets and more information call the Hofstra Box Office at (516) 463-6644, Monday through Friday, 11 a.m. to 3:45 p.m. In his director’s notes, Dr. Kolb points out that Antony and Cleopatra features several themes known to recur in Shakespearean works. One is the tension of the “other” – or between conventional and unconventional. Cleopatra was “other” by way of her race (Greek/Egyptian) and also by the fact that she was a great and influential ruler in a world dominated by men. Additionally, the juxtaposition of West vs. East, masculine vs. feminine, Roman coldness and rationality vs. Egyptian passion and heat are all examples of Shakespeare’s exploration of the antithesis in his works. Each Hofstra Shakespeare Festival comprises multiple performances: the full-length Shakespearean play, a shorter dramatic piece and the “Festival Musicale,” a concert by the Hofstra Collegium Musicum, an ensemble from the Music Department devoted to the performance of early music. The Festival Musicale includes a chorus and ensembles of historical instruments. This year’s Festival Musicale, directed by Professor of Music William E. Hettrick, is Star-Crossed Lovers, featuring guest artist Christopher Morrongiello, lute. The companion play is This Bud of Love, a one-hour version of Romeo and Juliet, an excellent introduction to the works of William Shakespeare, suitable for young theatergoers. This is the sixth year that a one-hour adaptation of a Shakespearean work has been performed as part of the Festival. This Bud of Love was adapted from Romeo and Juliet by Hofstra Adjunct Professor of English Maureen Connolly McFeeley and is directed by Professor of Drama Cindy Rosenthal. Star-crossed Lovers and This Bud of Love will be performed on Saturday, March 16, at 2 p.m. at the John Cranford Adams Playhouse. Tickets are $11, $8 for senior citizens (over 65) or matriculated non-Hofstra students with ID. Members of the Hofstra community receive one free ticket with current HofstraCard. There will also be a special performance of This Bud of Love on Thursday, March 21, at 8 p.m. Tickets are $6. 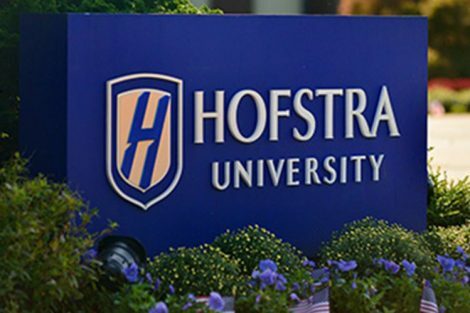 Members of the Hofstra community receive two free tickets with current HofstraCard. Tickets for the Festival Musicale and companion play are also available through the Hofstra Box Office. The cast and crew of This Bud of Love will also be touring local high schools in March. As with other companion play tours in the past, for many teens this is their first exposure to a Shakespearean production. The tour also gives the Hofstra students the valuable experience taking a show on the road – and the tour is really something they have to manage logistically and artistically. Notable casts over the years have included Phil Rosenthal, the creator and executive producer of Everybody Loves Raymond; Tony-nominees Tom McGowan and Peter Friedman; film and stage actor Joe Morton; film and television actresses Susan Sullivan, Margaret Colin and the late Madeline Kahn; and Tony-nominated Broadway director Susan Schulman, among many others. Steve Buscemi, Kyra Sedgewick and Brian Dennehy, who are not Hofstra alumni, performed in the Shakespeare Festival High School Competition as teenagers. Dennehy has said his brief experience in the Festival helped ignite his love for acting.